In honor of the anniversary of the death of Rabbi Tzvi Yehuda HaCohen Kook ztz”l (14 Adar 5742, Purim 1982), it is fitting to recall the luminous figure of the man who merited to successfully follow in the footsteps of his great father, Rabbi Avraham Yitzchak HaCohen Kook ztz”l, and clarify and establish the Torah of Redemption. As a result, he elevated the exalted virtue of Torah study among the national-religious public, to the point where tens of hundreds of yeshivot, mechinot (army preparatory yeshivas), ulpanot (girls religious high schools) midrashot(seminaries), for both men and women, were established on account of him and his disciples. The national-religious public became a major and influential factor in Israeli society, to the extent that it changed the map of the Land of Israel by means of the expansion of Jewish communities in Judea and Samaria, and the Golan Heights. Over the years his character has been tarnished. He was portrayed as narrow-minded, zealous nationalist, who constricted and distorted his father’s broad teachings. True, he was of firm character, but he was also of firm character in his broad-minded perspective and in the love of Israel and of man, and was uncommonly welcoming and generous. Even so, he was an ideological opponent of the intellectuals on the Left, and in fact, his spiritual efforts disrupted their political plan to withdraw from Judea and Samaria, and thwarted their plot to uproot the Torah and all things sacred from Israel’s revived culture. In the course of his spiritual efforts, he did not have them in mind at all – he was engaged in Torah and ‘emunah‘ (faith) for the sake of ‘Klal Yisrael’(all of the Jewish people), but his actions destroyed their plans for withdrawal and destruction. They knew that had it not been for him, the State of Israel would have withdrawn from Judea and Samaria, the national-religious public would have remained marginal, and the ideas of ‘emunah’ would have been exploited as a meaningless ornament in the life of Israeli society. As a result, from their point of view, he was their enemy. Rabbi Tzvi Yehuda was not adept at organization, but in his Torah greatness he clarified the foundations of ‘emunah‘ and determined the value of the mitzvah of settling the Land within the broad context of the Jewish people’s destiny – to reveal the Torah in all the actual spheres of life of the nation, in both the spiritual and material realms. From this, he determined that one must be ready to sacrifice his life for the settling of the Land of Israel. These fundamentals, after having been profoundly clarified by him, became a crucial factor on the national and international agenda. Many years after he passed away, the false account of him being narrow-minded and an extremist man began to influence some of the religious society, who believe that this was something to strive for, that Torah truth resides in the narrow-minded Haredi view, and all that needs to be inserted, in their opinion, is the mitzvah of ‘yishuv ha’aretz’ (the commandment to settle the Land) and nothing more. Today, such people are prone to conduct religious wars in his name. Therefore, it is fitting to go back and take look at his luminous figure, and at the less-known aspects of Rav Tzvi Yehuda to the general public. “From my personal experience I am aware that intellectuals and people of mind and spirit are sending out feelers of ‘teshuva’ … Of course, the turning point doesn’t occur in one day… It is an internal and slow process, but it exists and influences, returning quite a few to the source of the Torah …I believe that the majority of Jews are connected to tradition, including those that seem to be the furthest away … If they saw in all Jews a model of faith and love of Israel, integrity, and benevolence, certainly the rapprochement would be immeasurably greater. Just recently, the Prime Minister (Golda Meir) said that if the tragedy of a split between religion and state occurs, the ultra-Orthodox Haredim from ‘Aguda’ would be guiltier than the secular Jews. 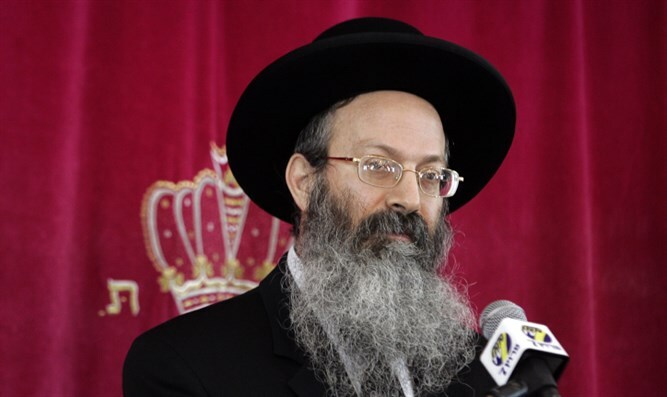 To my great dismay, this is the situation: those people, in their narrow, faith-limited ‘Haredi-ism’, pushing for divisiveness – are delaying the return of Jews to Torah and mitzvoth”, from “Maracha Ha’Tziburit” edited by Rabbi Yosef Bramson, pg. 122). “The ‘League for the Prevention of Religious Coercion’ was founded after the establishment of the State in order to fight religious coercion. When Rabbi Kook heard about it, he asked to join. He paid a membership fee of one lira – which was not a small sum of money in those times. The first receipt issued, number one, was in his name. In other words, Rabbi Tzvi Yehudah’s support for the struggle against religious coercion was profound and fundamental, to the point where the first membership receipt to the ‘League against Religious Coercion’ was in his name. In order to put things in perspective, many of the guests actually served as priests, as Rabbi Tzvi Yehuda mentioned to us several times. After he learned that these were the guests, Rabbi Tzvi Yehuda could have moved the meeting to another place. Nevertheless, he held the meeting in the old Yeshiva. He also did not refrain from telling his students that he had a friend – a “Reform rabbi”, who helped him with translating. The contents of the conversation are interesting as well, and Rabbi Tzvi Yehuda spoke of universal elements of Israel’s faith. Even when they asked sensitive questions, he answered honestly while respecting their honor, refrained from insulting their religion, and kept the conversation friendly. At the same time, he was firm, as Rabbi Professor Nachum Rakover testified: “At a meeting held at the home of Chief Rabbi Yitzhak Nissim, the son of Rabbi Nissim (Prof. Benayahu) introduced a well-known Kabbalah researcher to Rabbi Yitzchak. At that very moment, Rabbi Tzvi Yehudah turned his face away, because of what our Sages said: “One should not look at the face of a wicked person.” The Rabbi Kook responded in this manner because of an item published in a newspaper in the name of that same researcher, who said that he does not believe in God” (‘Mashmiya Yeshua’, pg. 220). In other words, although Rav Tzvi Yehuda was broad-minded and a loving a person, especially with regard to decent ​​and educated people, when a person engaged in Torah and Kabbalah chooses to announce publicly that he does not believe – such disrespect and wickedness in his position cannot be forgiven. Surely, if he had met him long after that interview, or had heard a nod of remorse from him, he would have welcomed him graciously.